Customers expect choices when they need to reach out for service or support. They want to interact with brands via their preferred channel, be it voice, text, chat, social media or email. Companies generally are doing their best to accommodate customers’ access demands by adding more digital channels to their lineup. However, in the rush to open new channels of communication, too many are skipping over critical steps that are necessary to ensure that the overall customer experience is efficient, holistic and consistent. 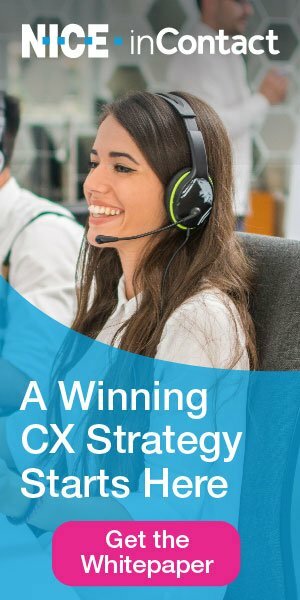 Veteran customer care and contact center leaders understand that making a new channel available but providing a poor service experience to those who use it is much more harmful than not offering the channel at all. Further, most consumers would gladly trade the minor inconvenience of using a second-choice channel if it delivers a high-quality experience and resolves their issue. Then why are so many companies plunging pell-mell into digital channels seemingly without concern for the impact on the customer experience? It often comes down to a verdict handed down by a senior decision-maker or pressure from stakeholders, according to more than half (54%) of customer experience leaders participating in a recent study (“The Danger of Digital: Why digital self-service without true omnichannel strategies risks the entire customer experience”) released by customer engagement and analytics software provider Calabrio. The buzz surrounding exciting new technology makes it easy for companies to succumb to FOMO (fear of missing out, aka, if everyone else is doing it, we should, too). In addition, the speed with which digital channels can be deployed often creates a misconception that managing them will be a simple process. Yet rolling out new channels independently will create misdirection and roadblocks in the customer journey unless you take the time to develop a holistic strategic plan that ties them all together. You can’t be all things to all people, as the saying goes, and that certainly applies to customer service channel options. Stretching your internal resources too thin to staff many channels typically results in inconsistent performance and removes the focus on those channels that are delivering a superior customer experience, or have the potential to do so. How do you know whether you have too many channels or which ones are appropriate options for your customer base? First, you want to make sure that there is sufficient demand for each customer channel you provide. Goodmanson recommends tracking adoption and usage rates for each channel to ensure a big-picture view of volume. Comparing transaction completion versus abandonment rates will give you an idea of how each channel is performing. Then “keep drilling down into customer personas to understand the ages, buying patterns and preferences that are driving to certain channels,” Goodmanson explains. The idea is to coordinate all of the data to provide an overview of which are your best channels and who’s using them. “Don’t be afraid to get rid of channels if they aren’t performing and your customers aren’t embracing them,” he adds. However, if the data shows that there is still some potential, a deeper dive into customer feedback will present insights for how to integrate it into an omnichannel strategy and redeploy it properly. Customer expectations are high when it comes to service delivery, but many companies have struggled to ensure uniform quality across channels. Just as important as collecting customer feedback is how you use it. “Use captured data as a learning tool to improve agents’ skills,” Bird says. “Provide continuous coaching to agents. Look for gaps in skill sets and incentivize agents to train and learn (i.e., add gamification to the training process).” In addition to agents’ skills, “aggregate and analyze your contact center’s data to make changes to processes and procedures that will benefit the organization,” he adds.